Week in review: FIU started the month of October convening federal and local officials on smart technology initiatives; advocating for policies that will protect South Florida’s water supply and coastal ecosystems; and presenting research on the impact of women in communication. 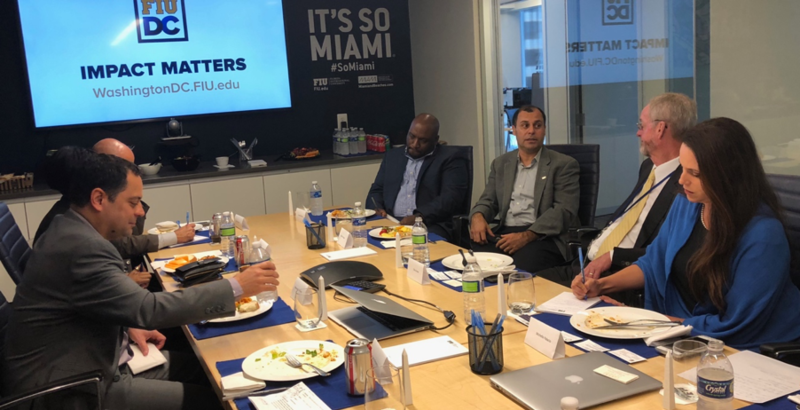 During Smart Cities Week in Washington, D.C., last week, FIU hosted an intimate roundtable discussion with local, congressional and federal officials in conjunction with the university’s leading researchers in Washington, D.C. The luncheon focused on immediate opportunities to advance successful deployment of technologies. 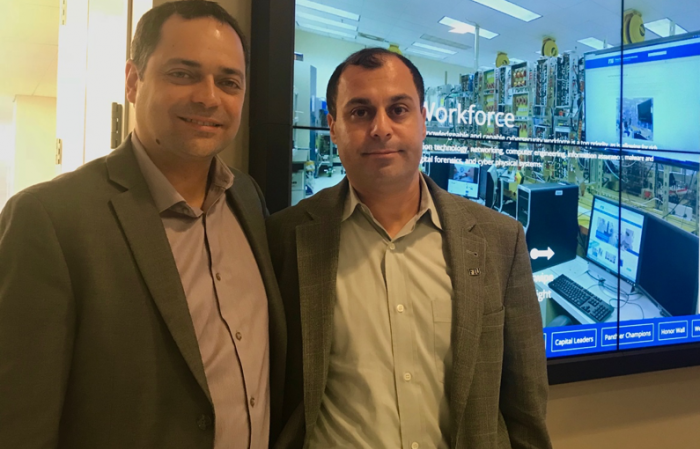 “This was such a wonderful group of people from university, science, trade, government and other fields that made the discussion so interesting and diverse,” said Raiumundo Rodulfo ’16, director of Information Technology at the City of Coral Gables. “It was a learning experience, and fruitful as well, since we already have a new collaboration between our City and FIU as a result of this gathering,” he added. The conversation offered all parties involved an opportunity to showcase solutions to issues facing South Florida and the nation. Chris Greer, senior executive for Cyber Physical Systems at the National Institute of Standards and Technology (NIST), added a federal point of view to the dialogue in particular in the areas of artificial intelligence and smart grids. Also present were Charlyn Stanberry ’13, an FIU Law alumna and legislative director who helps manage the Congressional Smart Cities Caucus, and Kenneth Mallory with the National Association of Regulatory Utility Commissioners (NAURUC). The two were brought a more policy-oriented perspective to the table and offered updates in coming legislation. On the academic side, present were College of Computing and Engineering researchers A. Selcuk Uluagac and Mark Finlayson. Uluagac is the director of FIU’s Cyber-Physical Systems Security Lab (CSL). Among other topics discussed included the advancement of the Internet of Things (IOT), CyberSecurity, Intelligent Transportation, smart grids, disaster resilience and blockchain. In addition, the roundtable reviewed applications of these smart technologies to society, and the role the university plays in this process. Rodulfo ’16 was a speaker at this year’s Smart Cities Week Conference, where he cited FIU’s efforts to further smart cities initiatives. He and the City of Coral Gables have collaborated with the GIS Center at FIU and partnered on other initiatives such as monitoring water quality. FIU’s College of Engineering and Computing is the first institution to offer a full degree in Internet of Things, is leading in coastal resilience to protect the South Florida community and partnering with other change makers to break further ground in smart technologies. As the Algal bloom crisis continues to spread in Florida, FIU Researchers advocated at the White House and on the hill for policies that would advance water research, coastal resilience and the prevention of further algal bloom infiltration in South Florida. 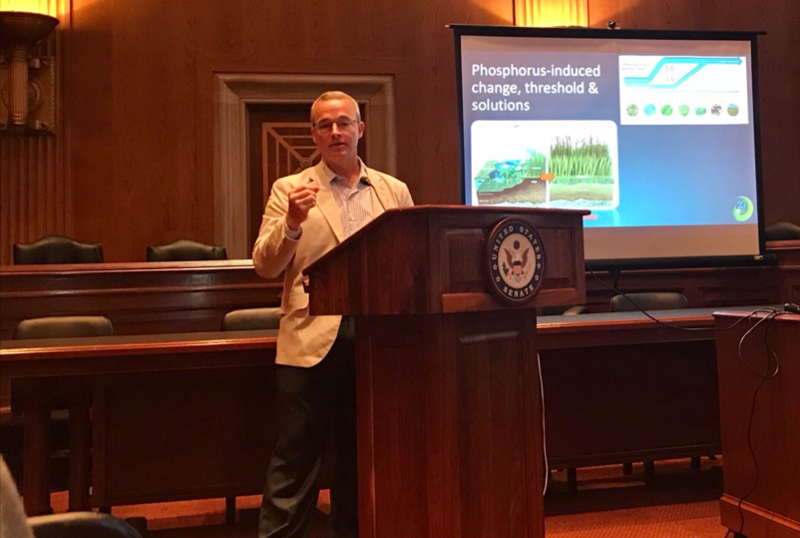 Todd Crowl, director of the FIU Institute of Water and Environment, along with alumnus Steve Davis ’99, a senior ecologist at the Everglades Foundation, led a congressional briefing on Capitol Hill focused on the role of ecosystem science in securing freshwater resources. Researchers emphasized how everglades restoration is necessary in protecting South Florida’s water supply, freshwater and coastal ecosystems and economy. “FIU’s been at the heart of that since the very beginning,” said Davis. 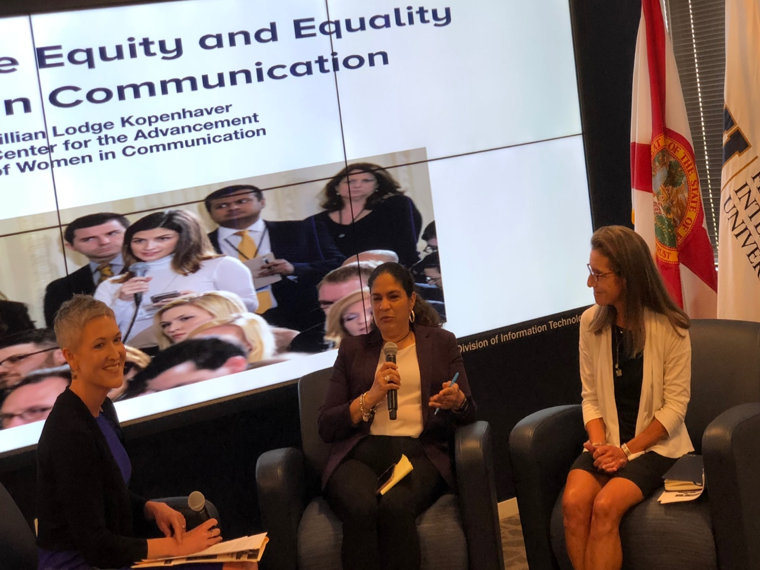 The Lillian Kopenhaver Center for the Advancement of Women in Communication hosted a symposium and release of a new report on the equity and equality of the sexes in communication. Kopenhaver, dean emeritus and professor of the SJMC, presented recent findings from the 2018 Kopenhaver Center Report to an audience of thought leaders and executives. The event including a panel discussion including Dianne Festa, NBC News senior vice president; Jennifer Griffin, FOX News correspondent; Ellen Weiss, chief of the Washington Bureau and vice president of the E. W. Scripps Company and Maria Peña, Washington senior political correspondent for La Opinion. The following day, FIU in DC and FIU CARTA hosted an impactful conversation for student interns in the district. The guest of honor was FIU alumna Virginia Cueto, executive director of AARP en Español. Students discussed communicating to multicultural communities and how the evolution of media has impacted journalists. Watch the Equity and Equality of the Sexes in Communication Webcast here.